Gondor, like Arnor, its Northern counterpart, is part of the Reunited Kingdom, founded by The Great King at the start of the Fourth Age. A descendant of Númenor, the realm of Gondor is home to a vast and advanced civilization, thriving under the wise leadership of Eldaravir the Young, son of Eldarion the Wise, son of The Great King. Its population is spread across a variety of fiefdoms and city states, each answering to the supreme rule of Minas Anor, formerly Minas Tirith, at the foot of Mindolluin, which is taken during the early stages of the War. The hosts of Gondor now gather around the strongholds of Dol Amroth, Calembel, Ethring and Linhir, situated behind the many rivers that stream from the White Mountains, where they are engaged in daily skirmishes with the forces of Khôragan, slowly losing ground to the endless tide of Shadow as they wait for their sister-state to come to their aid. Arnor, however, is simultaneously engaged on different battlefields, fighting hard to keep safe the passes of the Misty Mountains to prevent Khôragan's horde from entering Eriador, while at the same time aiding the Rohirrim to defend their kingdom as well as keep safe the Enedwaith, lest Gondor is assaulted from behind. 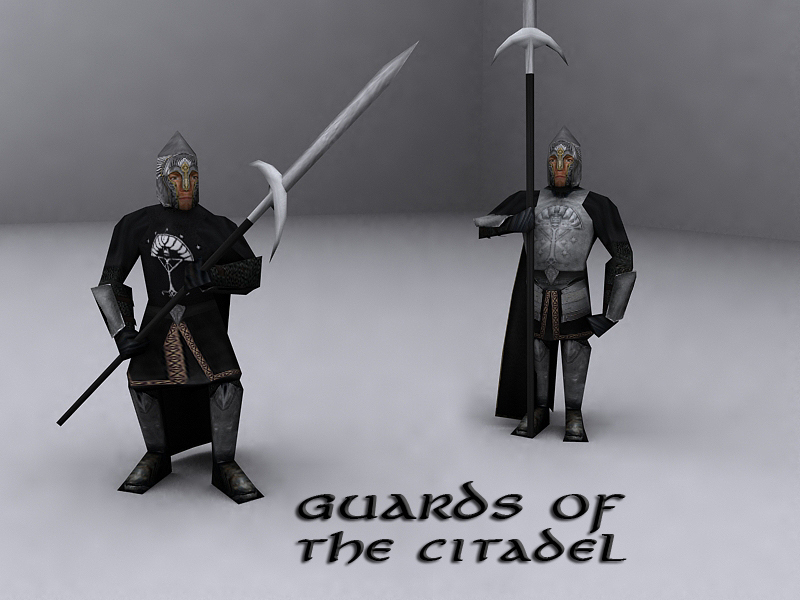 Gondor's strength is based on their vast armies, consisting primarily of various kinds of infantry. Gondorian smiths are highly advanced, producing powerful weapons and sturdy armor to increase the strength and durability of soldiers on the battlefield. 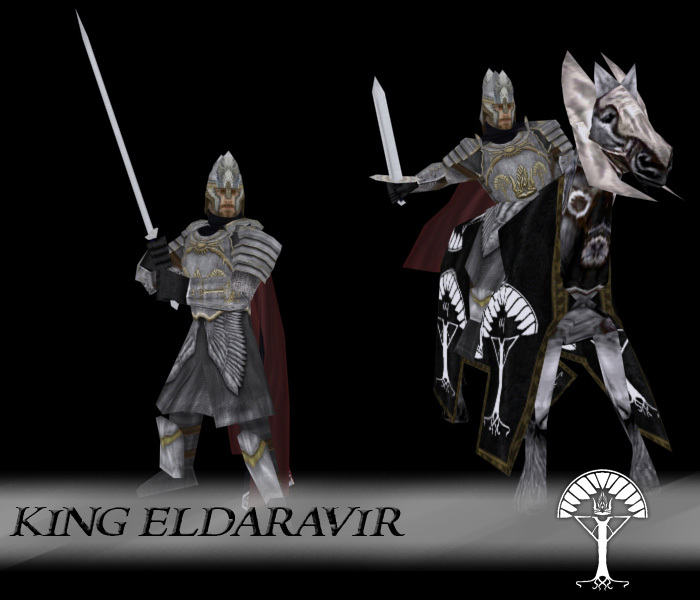 King Eldaravir was crowned King at the relatively early age of 42 and was, as such, dubbed Eldaravir the Young. Despite his age, he has managed to keep the confidence of his advisors and his people, possessing the strength and wisdom of his line. Within the first years of his reign, the Reunited Kingdom is thrust into war with the Men of Shadow. King Eldaravir has made a powerful presence on the battlefield, being amongst the last to abandon the White City and now selflessly leading his men on the front lines in Lebennin, devising brilliant tactics with which to delay the tide of Shadow. 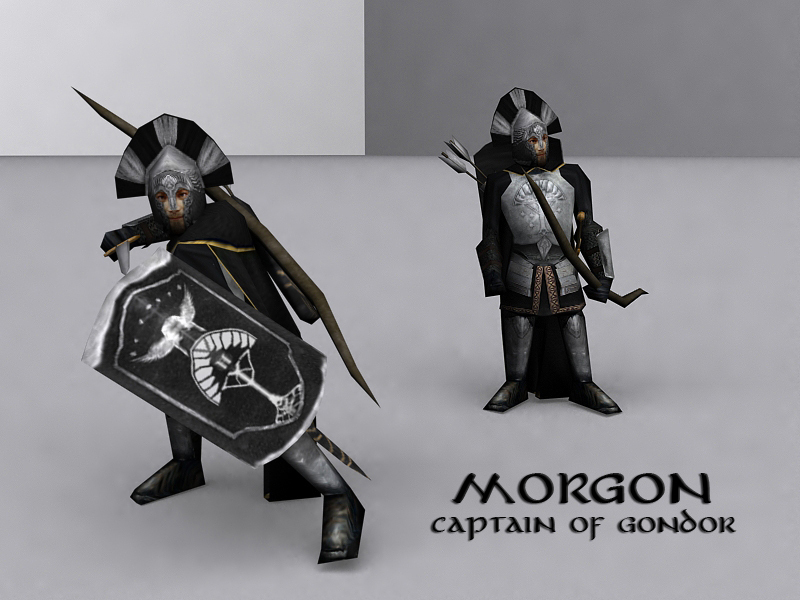 A descendant of the famed Beregond, who saved Faramir from his father's pyre, Morgon is a proud and capable Captain of Gondor. In the events leading up to the War of the New Shadow, he played a central part in traveling through the strange land of Rhûn to find out the cause of the growing corruption. Now, with War unleashed, he commands his men with pride and distinction alongside Prince Barahir of Ithilien, both tasked with the defense of southern Lebennin and the bordering Ethir Anduin. A descendant of both Prince Imrahil and King Éomer of Rohan, Eranoth is blessed with great wisdom and aptitude for battle. In times of peace, he serves as the King's First Advisor. 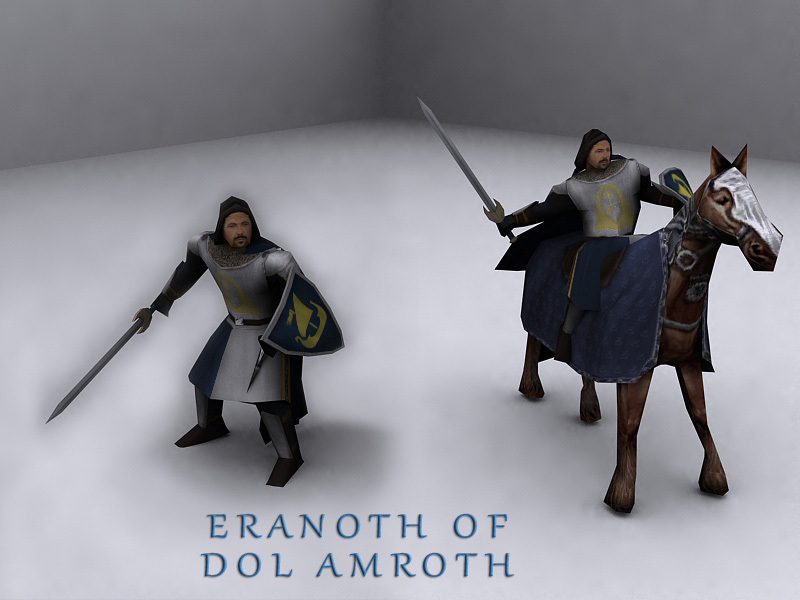 In times of war, he commands the Knights of Dol Amroth, the Realm's most refined and disciplined fighting force. His home of Dol Amroth has repelled a siege early in the war and pushed the enemy back across the river Gilrain, where they were crushed between the Host of Amroth and the retreating Host of Minas Anor. Now, alongside his King, he defends the river Celos and the land of Lebennin, preventing the New Shadow from overrunning the rest of the Gondorian realm. 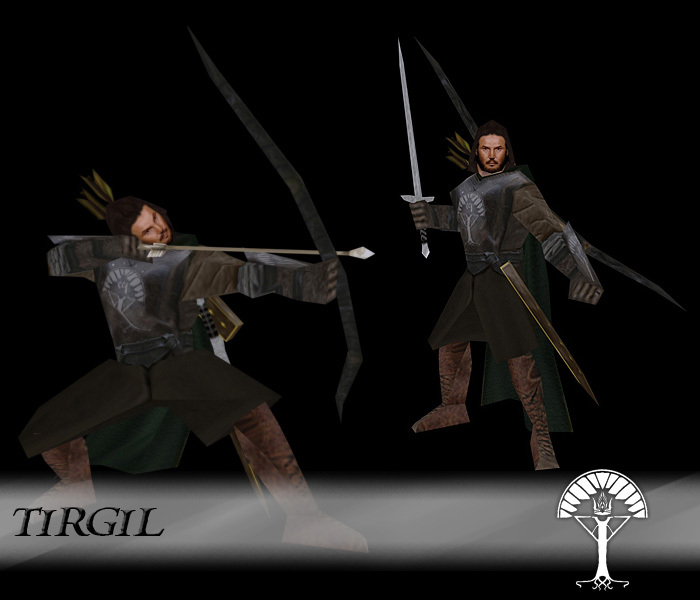 A descendant of Faramir, the first Prince of Ithilien and friend of The Great King, Barahir rules over the Men and Elves of Ithilien, a beautiful woodland stretching from the fields of Nindalf in the north to the city of Pelargir in the south. A distinguished Elf-friend, Prince Barahir maintains contact with the few Elves remaining in Greenwood the Great and Imladris, visiting them at times and keeping a line of trade intact. In times of War, he deploys his host of Ithilien Rangers, both Elves and Men, to strike unseen and from afar, safeguarding the southern borders of Lebennin with Captain Morgon as their King resists the Shadow along the river Celos. When word of the siege of Minas Anor, formerly known as Minas Tirith, reached the ears of the Lords of Lamedon, one of the larger Gondorian Fiefdoms, they were quick to dispatch a large contingent of soldiers to aid in Gondor's defense. Unfortunately, the defense of Minas Anor was weakened and subsequently short-lived, and the swordsmen of Lamedon met the host of the King as they retreated through Lossarnach towards the Rivers. 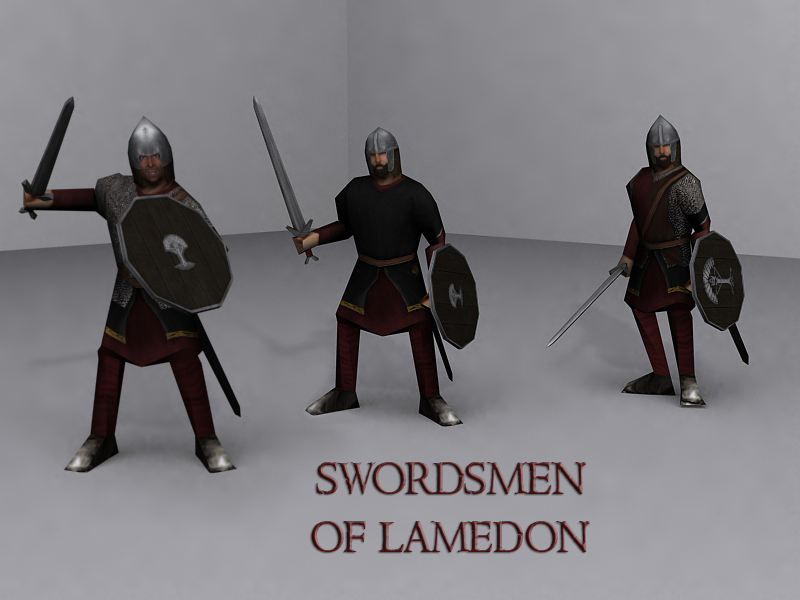 Now, with the Gondorian leadership holding their ground beyond the Celos and in the maze-like southern foothills of the White Mountains, the swordsmen of Lamedon play a central part in the Gondorian military structure, making up a large number of the King's footmen. When the Great Gate of Minas Anor lay broken before the Host of Khôragan and the lower levels of the city burned, King Eldaravir realized the futility of further defending his City, and ordered the Captains to gather the remaining citizens and defenders of Minas Anor so that they could collectively escape across the passes of Mount Mindolluin towards the vales of Lossarnach and into Lebennin. 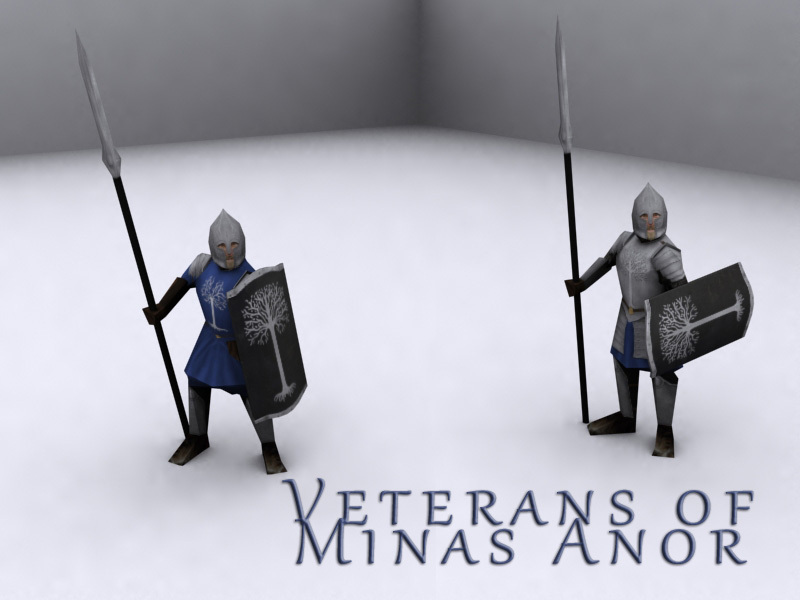 Now, these Veterans of Minas Anor make their stand on the west bank of the Celos river, refusing to allow the land of Lebennin to fall like Minas Anor did. 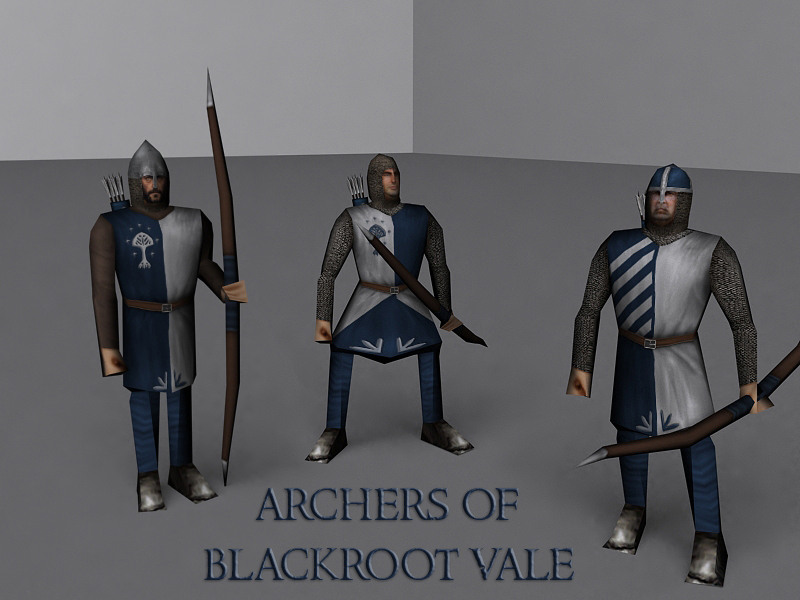 The men of Blackroot Vale were not far behind those from Lamedon when Minas Anor fell under siege. Home to a great many farming towns, the Lord of Morthond invited the disowned citizens of Minas Anor to live among his people, while pledging his well-equipped contingent of archers to King Eldaravir, under whose banner they now defend the land of Lebennin, holding the western banks of the Ethir Anduin and the river Celos. The Fortress-city of Dol Amroth is second only to Minas Anor, both in strength and authority. Khôragan knew this, so he arranged for an army of Corsairs to besiege Dol Amroth at the same time his personal host attacked Minas Anor. As such, Eranoth, the Prince of Dol Amroth, was hard-pressed to send aid to his King. It was only after the city of Dol Amroth smote down the Corsairs that Prince Eranoth rode out with his host of Knights, now too late to prevent Minas Anor from falling. Now the Knights of Dol Amroth are fighting alongside the rest of the hastily gathered Gondorian forces, applying all of their considerable strength in the defense of the once-peaceful land below the White Mountains. Though few in number, these men of considerable valor closed the line of refugees from Minas Anor, fighting to protect both citizen and soldier from the pursuing Easterlings. Once charged with the protection of the White Tree of Gondor, their only purpose now is to safeguard the King to ensure the continuation of his line, and to see the White City cleansed of Khôragan's evil. When Elves came to dwell there after the War of the Ring, the lush lands of Ithilien grew exponentially. Under the leadership of the descendants of the first Prince of Ithilien, the Men and Elves of the land have fortified its borders and increased its population. 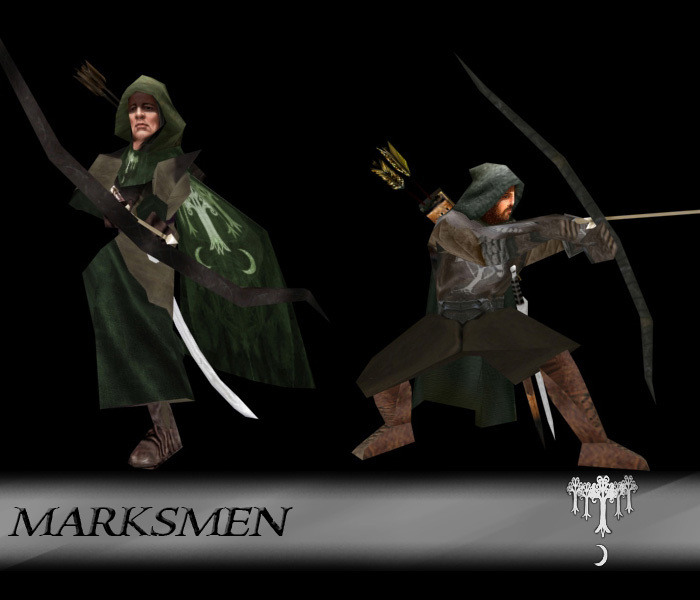 Now, the Rangers of Ithilien are no longer a dwindling group of woodsmen, but a mighty, well-trained army under the leadership of Prince Barahir. When Khôragan attacked the city of Minas Anor, he knew of the threat these Rangers posed, so he sent his minion Selâth, the Haradrim Warlord, to attack Ithilien from the South so that Prince Barahir could not come to the aid of Minas Anor. The plan worked, and Minas Anor fell, however Prince Barahir and his men proved too great an adversary for Selâth, and even as King Eldaravir makes his stand beyond the Anduin and the Celos, the land of Ithilien remains contested between the combined forces of Selâth and Khôragan, and Prince Barahir and his Men and Elves, who regulary cross the Anduin to raid the Haradrim now stationed in Southern Ithilien. 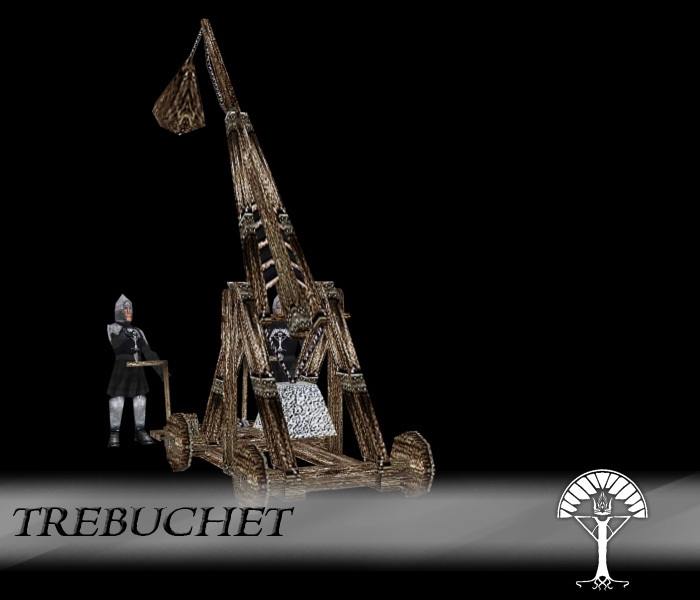 This is Gondor's siege machine. They are good against buildings, and also do well against units. They can however hurt your own units and buildings, so beware when using them unattended. Heal all units within a radius to full health. 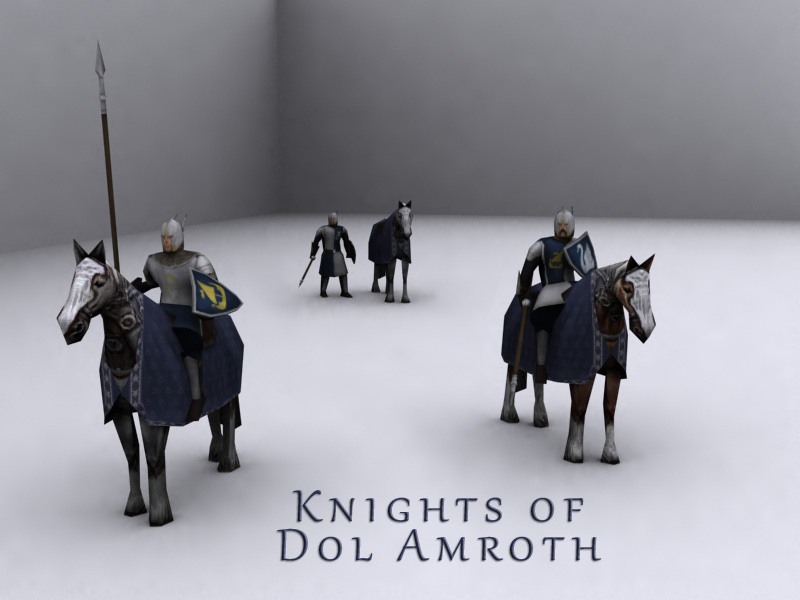 Summon Knights of Dol Amroth. Heroes of Gondor gains +50% Attack. Summon a small Eored of the Rohirrim. Summon men from the Southern Fiefdom. Gives a boost to all troops on the field. BFME, Battle For Middle Earth, and all assumed entities associated with them are © EA Games. This site is not endorsed by or affiliated with Electronic Arts, or its licensors. Trademarks are the property of their respective owners. Game content and materials copyright Electronic Arts Inc. and its licensors. All Rights Reserved.